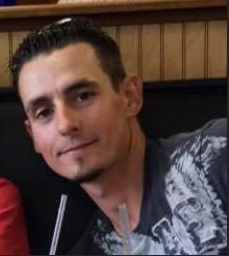 The Rayne Police Department is seeking information on Joshua Comeaux (34) of Rayne, LA, who has been reported missing by family members. The last known contact the family had with Joshua was on Sunday, August 5, 2018, when he was driving a white Chevrolet Suburban bearing Louisiana license plate XJZ191. Anyone with information is asked to contact the Rayne Police Department (337) 334-4215 or Crime Stoppers of Acadia Parish (337) 789-TIPS (8411).